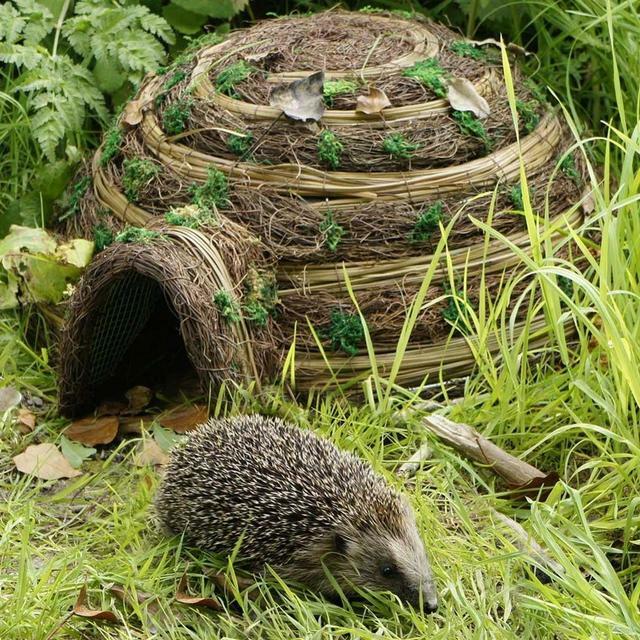 Shaped rather like an igloo, this cosy house provides a warm and snuggly retreat for garden hedgehogs. 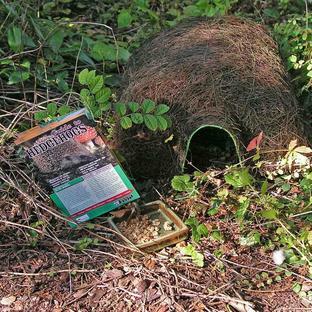 The small entrance tunnel is designed to deter predators such badgers and dogs and snuffling snouts nosing around the nest. The round painted steel frame has a water-proofed roof which is covered with a brush wood finish decorated with with bands and camouflaged with moss trim. 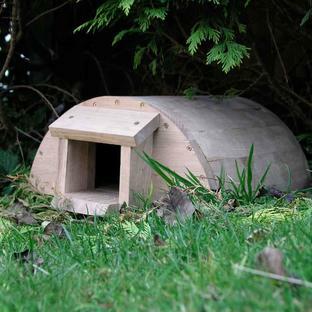 The igloo is spacious and can accommodate family groups such as mother and hoglets. The Igloo is predominately designed for shelter but may be used for hibernation if additional brushwood cover is provided over the igloo in winter. Locate the Igloo in a place with cover and out of the prevailing wind. 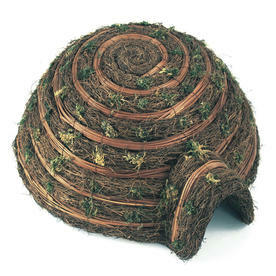 Pile leaves or foliage around the house to further camouflage it. 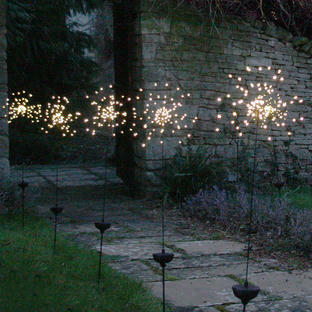 Place cut short lengths of dry grass or leaves inside as nesting material. If boisterous dogs or badgers are in the area the igloo may be anchored down with for extra security (use old tent pegs).